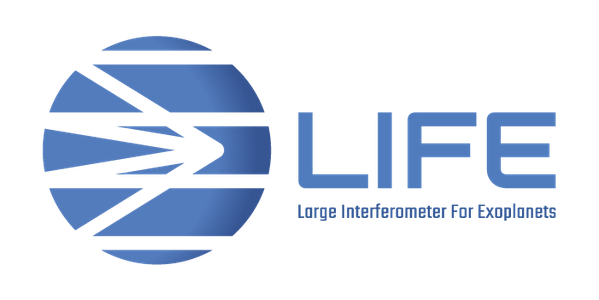 LIFE is a project initiated in 2017 and officially kicked-off in 2018 to develop the science, technology and a roadmap for an ambitious space mission that will allow mankind for the first time to detect and characterize the atmospheres of dozens of warm, terrestrial extrasolar planets. Thanks to NASA's Kepler mission and dedicated, long-term exoplanet searches from the ground, we know that rocky exoplanets are ubiquitous in the Milky Way and very likely also in the immediate Solar neighbourhood. Detecting these nearest planets, understanding the (atmospheric) diversity of other worlds and searching for indications of habitability and biological activity is a cornerstone of 21st century astrophysics and will provide us a new perspective on our place in this vast Cosmos. Of the four terrestrial planets in our Solar System, Venus, Earth and Mars possess significant atmospheres. Will exoplanets with similar properties in size and mass have also similar atmospheres? How common are habitable exoplanets?